Adrienne of The Rich Life in Wine Country, my lovely “How I Wear My” partner, thought it would be fun if we did another end of the year post of our favorites of “How I Wear My” for 2015 and I completely agreed! Just like last year, we exempted ourselves, chose pictures only from our own posts, and did not tell each other in advance who we had selected. I had some problems last year picking just one look for each theme, but I told Adrienne this year that I would stay strong and only choose one! 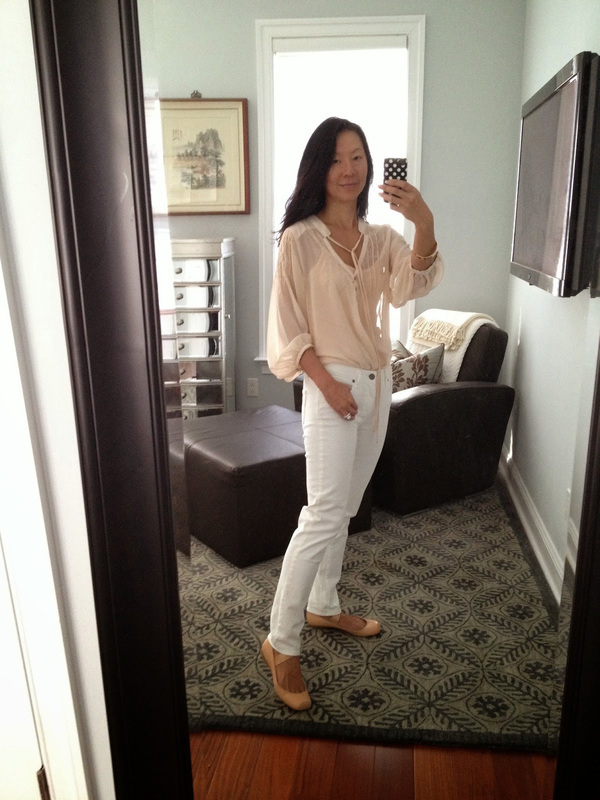 Here are my personal favorites for each month of “How I Wear My” for 2015! Ana of Mrs. American Made, above, looked so lovely in her winter white. I think this is such a great outfit on Ana overall, it is definitely one of my favorite pictures of her, and I love her winter white lightweight wool coat by Laundry! I loved this ensemble on Nora of Jacket Society, featuring an H&M jacket, wide-legged pants, a white shirt, gold clutch and a YSL necklace. This was such a great outfit on Nora, who looks so glamorous and ready for a night out on the town! Pam of Over 50 Feeling 40. 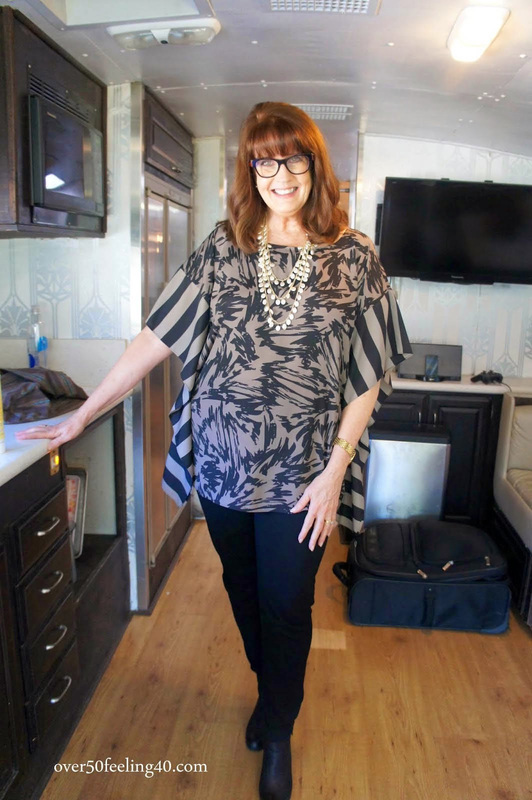 This is one of my favorite pictures of Pam of Over 50 Feeling 40, looking so wonderful in her outfit, featuring BP Trolley booties, and capped off with that great smile! Suzanne of Suzanne Carillo looked so lovely in this photo for our roundup on layers. This ensemble was a nod to Ralph Lauren (with a thrifted Ralph Lauren skirt!) and I love the caramel and honey tones with a hit of denim beneath. It is one of my favorite outfits on Suzanne! Helen of Valley of the Shoes. I thought this was such a romantic yet modern outfit on Helen of Valley of the Shoes. I really loved the femininity brought by both the blouse and those amazing ballet flats (that look like actual pointe shoes to me!) combined with the modern edge of the white jeans. Cynthia of My Rose Colored Shades. Cynthia of My Rose Colored Shades perhaps presaged that Pantone would pick Rose Quartz as one of its colors for 2016 when she wore this gorgeous pale pink moto jacket for our spring jacket roundup. Actually, I think Pantone must have seen this picture, is that not an icy blue clutch in her hand, so reminiscent of the other color of the year for 2016, Serenity? I think someone from Pantone had this photo pinned to their inspiration board, what do you think? Alice of Happiness at Mid-Life. 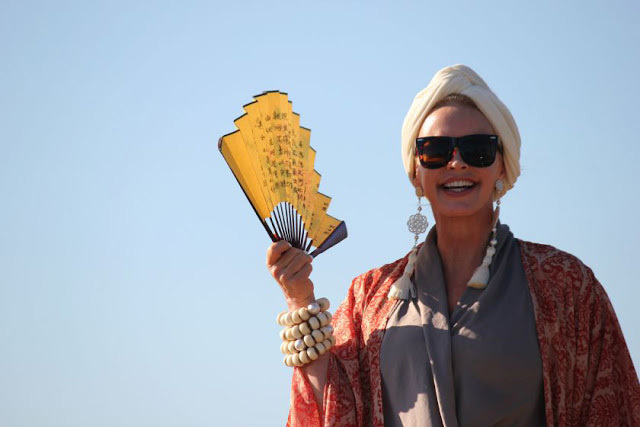 This is one of my all-time favorite looks from Alice of Happiness at Mid-Life! In addition to the pattern mixing, and red, white and blue in July, I also loved that she was carrying her mom’s vintage Gucci clutch that Alice remembers her mom buying for herself. I love stories like that, which remind us that great accessories live on (and on and on) and are even better when they come to you from someone in the family! Trina of Tea Time with Trina. This is my favorite picture of Trina of Tea Time with Trina ever. I can’t help it, does this photo not seem like the very essence of summer? 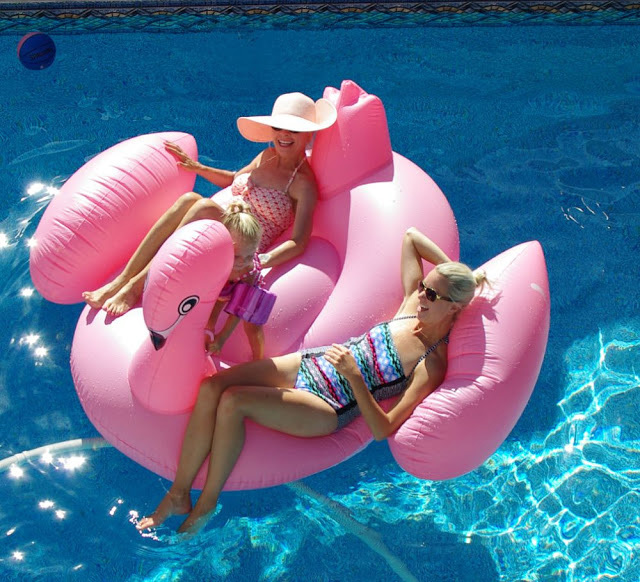 I loved Trina’s pale straw hat, as well as how she was joined on the giant pink flamingo by her beautiful daughter and adorable granddaughter. Such a great shot of them! I cannot imagine doing a tassel post without Tamera of Tamera Beardsley and I said as much to her back in August when we were collecting photos for this roundup. In her typical glammed-up DIY style, Tamera made these earrings from buttons and prefabricated tassels. This is one of those photos of her that remind me, once again, of old Hollywood, so of course, I love it! Catherine of Not Dressed As Lamb. Catherine of Not Dressed As Lamb joined us for the poncho or wrap roundup wearing this beautiful cashmere poncho with ribbed sleeves. I love the color on her, especially paired with a leopard fedora and gray skinny jeans. Such a great ensemble! Deborah of Fabulous After 40. 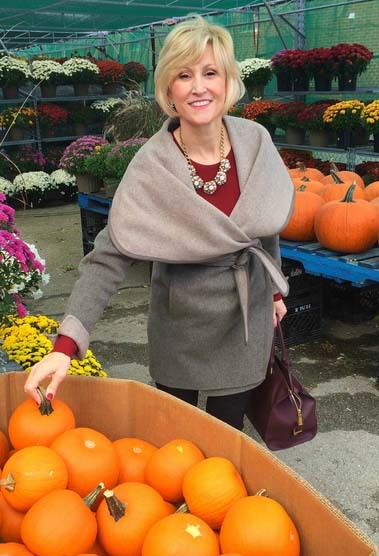 I just loved this photo of a very glamorous Deborah of Fabulous After 40, looking so wonderful in her gray wrap sweater with shawl collar. I also loved her red blouse, sparkly necklace, aubergine bag and red manicure. Such an elegant look on Deborah! My mother in her Buckley London Poppy brooch. Of course I am a bit biased, but I cannot help but choose my mother, looking so happy on her birthday in this photo, as my favorite for the brooch theme. 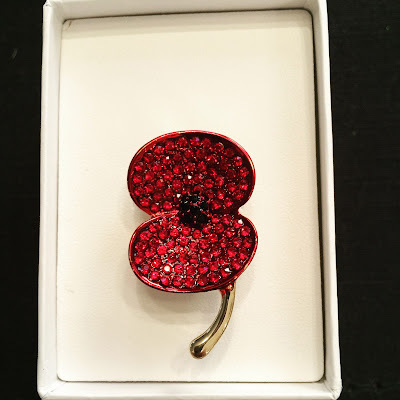 She glammed up a basic black turtleneck with a shimmery red poppy crystal brooch by Buckley London, sold for Remembrance Day, and with all profits going to The Royal British Legion and Poppyscotland. My mother taught me so much about jewelry as I was growing up, and she continues to teach me about it to this day, and I am forever in her debt! Such a great sparkly brooch by Buckley London! A stylish set of ladies for 2015, if I do say so myself! “How I Wear My” cannot happen without all the great contributions we get every month so I want to say THANK YOU to each and every one of you. I wish I could hug you through my computer. Thank you for the beauty you bring into my life! Do swing by Adrienne’s to see her personal favorites for 2015. Again, THANK YOU to all the fine foxes who participated throughout the year. I wish you the happiest (and stylish!) of holidays! Thank you so much for being such a wonderful hostess each month for your HIWM parties. I always find some inspiration. Thanks for including me with all these other wonderful ladies. Wishing you and your family a happy holiday and all the very best in 2016! Dear Jill, thank you very much for selecting my outfit and being among this wonderful stylish group! Also, thank you and Adrienne for this monthly series of inspiration, I really look forward to each installment! What great choices! I love that photo of Trina on the floaty...so awesome. And your mother is so beautiful in that pretty brooch. Thank you so much for including me in this wonderful group of women and their looks. Who knew my "long necklace" looks were gone be so popular :) Thanks for putting it all together every month and I am so looking forward to neck years looks. Great selections! I'm a bit partial to Ana with her promoting items Made In America! Jill what an amazing roundup my dear! i am truly honored to be among these amazing and stylish women! Wishing you beautiful times with your family this season! 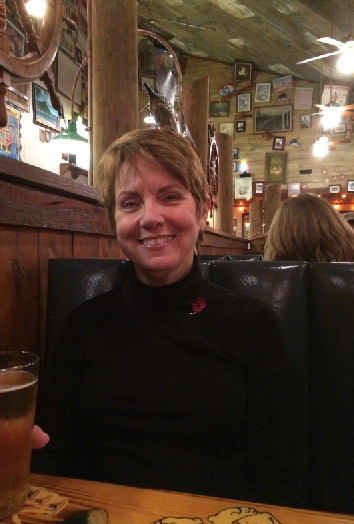 Thanks to you and Adrienne for your continual effort in these inspiring monthly roundup! I think all the ladies look fantastic; and I agree that Flamingo float photo of Trina is FABULOUS! :-) This is fun! I enjoyed all of them. What a fun look back at all the great themes in 2015 and thank you so much for including me in one of your favorites. And a Happy New Year to you Jill. Lovely looking back over the year especially as I was a late comer to the series in November. I'm looking forward to seeing what everyone comes up with this year and being inspired by each month's theme.